NEW! - Cont.= 6 cm. 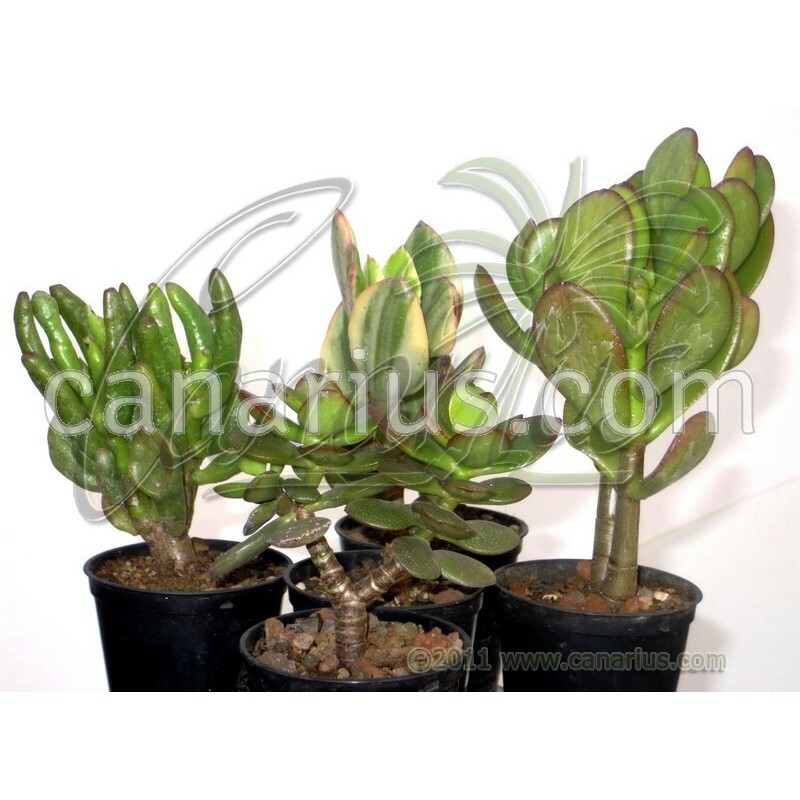 Five plants of different selections of Crassula ovata, with different colours and shapes. Five plants of different selections of Crassula ovata, with different colours. We offer plants growing in 6 cm pots. Container size will give you an idea, but Crassulaceae are often sent bare root. These plants are very tolerant of bare-rooting.